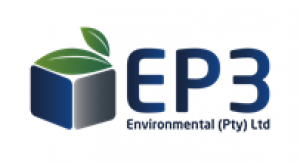 EP3 Environmental (Pty) Ltd was established by Eben van Schalkwyk in 2013 and is a multi-disciplinary consulting firm that provides specialised Health, Safety and Environmental (HSE) services to our clients. EP3 has highly qualified professional resources that enable us to conduct a wide range of HSE services to the benefit of our clients. The application of professional knowledge and extensive experience in the HSE sector together with meticulous attention to detail allow us to lead organisations to achieve their desired goals and objectives.